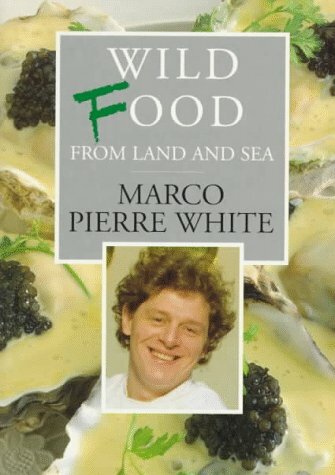 Marco Pierre White has risen to be a firm figure in the world of “haute cuisine”. Since he opened “Harvey’s” restaurant in south-west London in 1987, he has become the most talked-about cook in Britain, the youngest man ever to win the coveted third Michelin “rosette”, and almost equally renowned for the upheavals in his private life. In 1992, he opened “The Canteen” in Chelsea Harbour, and in autumn 1993 opened “The Restaurant” in Knightsbridge, which have one and three stars respectively in the Michelin ratings. Yet behind the hype, this text reveals there is a professional, dedicated chef of great talent. His mastery is based on the solid foundations of French classical cuisine, but it is informed by a modern feeling for the importance of ingredients of the highest quality and freshness, by a receptivity to influences around the world, by simplicity and profound originality. Above all, the book aims to make accessible the secrets of his success to all amateur cooks, and contains tips based on his incomparable feeling for the potential in natural foods from land and sea. After leaving Allerton High School in Leeds without any qualifications, White decided to train as a chef. He began his training in the kitchen at the Hotel St George in Harrogate, North Yorkshire and later at the Box Tree in Ilkley, West Yorkshire. Arriving in London as a 16-year-old with “£7.36, a box of books and a bag of clothes” he began his classical training as a commis under Albert Roux and Michel Roux at Le Gavroche, a period that would lead Albert to describe him as “my little bunny”. At 24, Marco became Head Chef and joint owner of Harveys with a kitchen staff that included the young Gordon Ramsay and Heston Blumenthal. He was awarded his third Michelin star at the age of 33 - the first British and youngest chef ever to achieve this.